love the maxi skirt and your bag! I am not having a bad eyesight, but I still want glasses because some of them look really nice. So instead I make up for that by having a large collection of sunglasses. Good your knee is healing. Mi piace come sei vestita, proprio carina la gonna! No, I don't have bad eyesight but yes I wear glasses! I have some non-prescript that i sport sometimes, feel so smart with them on ;) and isn't it amazing how converse just happen to go with everything!! Cute outfit, I like that long skirt, and your beautiful necklace with simple green t shirt. ti trovo deliziosa! perfetta... rimettiti presto! poi hai un viso molto simpatico!! Che dire ogni impedimento è giovamento: con la gonna stai benissimo, e gli occhiali sono favolosi!!! Amazing outfit!! I love how you combined your converse with long skirt...And cat eye glasses are great!! Very pretty! Anche io porto gli occhiali, ma li porto tranquillamente, senza problemi. Anzi, ormai non mi vedo più senza occhiali!!!! love the maxi:) the tee is cute! Beautiful outfit sweetie!! Love the skirt and the green shirt!! Molto carina con questo look! E' la prima volta che mi piace un paio di scarpe da ginnastica. e poi stai bene con gli occhiali. Io sono astigmatica e miope, ce li ho ma non li metto mai...sono scomodissimi! awwww so so so cute!!!! your outfit is so cute! i'm so sorry that you fell from your wedges shoes. i've been wanting to get wedges to. though, i don't think this is going to stop me from purchasing them. you bleed for fashion right? LOL! so... i like your blog and i'm following! that's final. g'd day! passa dal mio blog, c'è un giveaway!! what a lovely blog !! Love your cute and casual outfit! =) Sorry to hear about your knee. I'm glad to hear it is recovering. this makes me want a maxi dress so bad! very cute! We love your glasses!Very cool! Cute these butterfly shaped glasses with that tshirt! I don't need glasses but I think they are really fashionable. your are really fab!! questi occhiali ti donano molto! thans for your comment, like your blog, and i am now following you ! Ciao, come stai? Sei italiana? Io sono andata in'itália 2 anni fà, mi picciuto tantissimo! This outfit is too cute! I love that skirt! I don't need glasses at all. My vision is nearly perfect but i do own a pair of faux glasses. i haven't had the courage to wear them yet. I love this entire look. The shoes are way awesome! They really do look nice and worn in. we have a new post. Maybe u want to check? you look so cute! I love the skirt and the color of your shirt! thank you for the comment on my blog! love this outfit, so cute! la tua maxi skirt è stupenda!! ne stavo cercando una simile, è davvero bellissima! your cat eye glasses are perfection!! adoro i tuoi occhiali!! bellissimo look complimenti!! I ADORE your tee! it's so cute! and glasses are amazing, cat eye looks great on you. Should I say the rest of your outfit is gorgeous? It is as usual! Great urban outfit loving your maxi skirt and the green shirt is lovely. I love this chic & comfy look.... the green is my fav color.... and the sneakers are perfect!!!!!!! great oufit, long skirt are trends right now! Love your glasses and lovely outfit! Thank for your comment and I'm following, hope you will follow back! love green colour and the farfalla!!!! i hope you enjoy our project abaut The Rachel Banks. like your blog! You look amazing! Following you! Lovely outfit! I really like your style and blog, following you!! I adore your shoes and bag! You have great style!I really like your blog! Stai benissimo, mi piace un sacco la borsa! CUTE love the converse and the necklace!! I love wearing sneakers with skirts too. Luckily, I don't have to wear eyeglasses yet but I am sure that one day I will and when that time comes, I won't mind wearing them. You look great with them by the way. Hi Vale! I love your converses and miu miu. very cute combo. I really appreciate that you're posting in English also, thank you! Following your blog now! ma che carini quegli occhiali! Ti ringrazio per il commento al mio blog! Love your maxi skirt! Thanks for the sweet comment on my blog! Really like yours too, so i'm following ;) Kisses from the Netherlands. omg your kitty cat shades are 2 die for! I love this outfit! Whether you need glasses or not, those glasses look awesome on you! Bellissimo outfit, la gonna lunga ti sta davvero bene! Peccato che converse non si vedono tanto! i love the maxi skirt + converse combination! your glasses are super cute too! gotta love a comfy and relaxed saturday! cute top. anche io sono miope e prediligo le lenti a contatto perchè sono decisamente più comode...a volte però gli occhiali danno un tocco in più ad un look!! Che bella mise! Mi piace la scelta delle differenti cose da abbinare. Non porto gli occhiali, ma mi piacciono tantissimo! 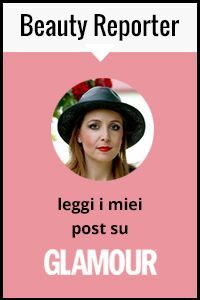 che carino il tuo blog! e che bello il tuo outfit! passa a trovarmi sul mio blog, se ti va. I love the hole thing, especially your top. i really want a long flowing skirt. so hippie chic. Love the top, so sweet and the necklace is beautiful. il stile non e il mio tipo, pero su di te fa un bel effetto, io non ho coraggio di porare gonne lunghe D: uhuh comunque gli occhiali sono BELLISSIMI! what an amazing outfit!i love the top and the shoes!wow u look great. love how you`ve styled maxi skirt with a print tee! Love the butterfly on your shirt! Great outfit! Oh, I love this outfit of yours!